Shoot scientists and use tool to dodge rocks and traps. Get points for kill and collect bonuses. People don't know what happens inside labs, but this games will show something. 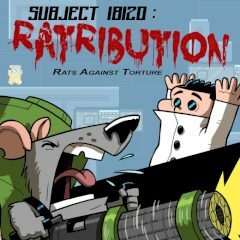 You are going to play a rat subject with enormous powers. Kill scientists and have fun!